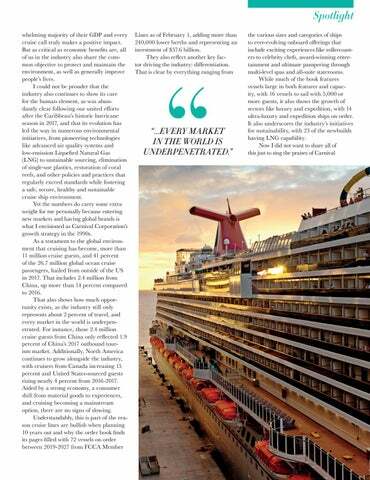 hrough research and travel insights, Cruise Lines International Association (CLIA) has released the 2019 State of the Industry Outlook Report, which not only predicts the cruise travel trends, but also reveals that cruise travel continues to grow and contribute to the over global economy. 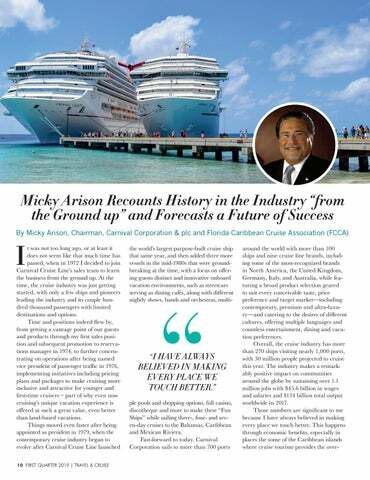 “The research done providing a forecast for the year ahead allows the cruise industry to see a bigger picture, looking at the cruise and travel industries, where they can evaluate and predict all of the exciting things to come,” said Kelly Craighead, president and CEO of CLIA. 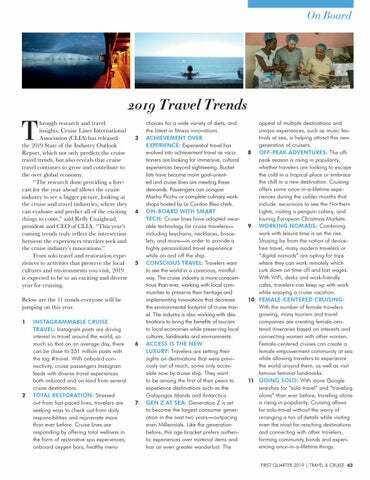 “This year’s coming trends truly reflect the intersection between the experiences travelers seek and the cruise industry’s innovations.” From solo travel and restoration experiences to activities that preserve the local cultures and environments you visit, 2019 is expected to be to an exciting and diverse year for cruising.